Most kids enjoy reading fun, simple short stories. Learning new words helps kids read more confidently and improves their vocabulary considerably. 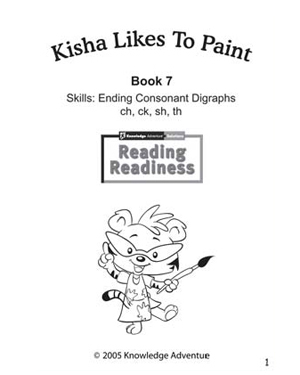 ‘Kisha Likes To Paint’ is a fun story that focuses on words with ending consonant digraphs. Reading activities like these make it easier and more fun to teach kids new concepts and give them some reading practice. What’s more, this activity comes with printable coloring pages!